Deck drains for deck waterproofing systems serve more than extending the life of a deck. They improve the safety of decks; especially in those areas where rain fall is heavy. They are only part of the overall waterproofing system that all decks should consider incorporating in their design. They are a special feature that when added does not detract from the deck’s beauty, while promising a longer deck life and a safer one. Deck drains don’t often leap to the mind as belonging in the category of waterproofing. But nothing is further from the truth if the result of waterproofing receives focus. It means or entails sloughing off water so that it doesn’t soak or settle on the components of a structure, like a deck. Sending water or moisture away from a structure is an ancient endeavor and the drain has found use throughout the centuries. Dovetailing with the French drain is the drains around pool decking. Often decks surrounding pools seem more like sidewalks than decks. Whatever the distinction, waterproofing’s need around pools requires special attention. Just watching children play in pool alerts the observer to this fact. Kids splashing water all over is just part of the fun. Without waterproofing, drains and more, that water will settle and migrate not just to the lowest point, but will do so through every crack and cranny. Over time, that can translate to ruining the decking – concrete, wood or even composites. From a balcony standpoint, allowing water to stand or soak without an avenue to slough off, it will naturally begin to soak into the structure. Avoidance of the many tragedies involving balconies and decks were clearly possible. Keeping water or moisture from collecting around the ledgers that decks and balconies derive their structural support from is a key element to decking’s structural viability. Gaps in the flooring’s waterproofing accounts for much of the problem, too. Drains properly installed protect these deck types in more than one way. Since the ledger derives support from other components of the complete structure i.e. exterior walls and the building’s flooring joists, one component’s reliance on another becomes clear. Each requires protection and drains are an important part of that job. If water starts to drain into the walls, the walls weaken etc. One cannot overstate the importance drains play in re-directing water away from the key structural components of decks and balconies. Nowadays, drains run along the underside of many decks and the creative nature of the industry has found clever ways to incorporate drainage into the design. Grooved boards bonded together comprise the flooring in these new designs. The “trench” forms where the boards dovetail, redirecting the water from the structure. By creating a small one-degree slope per so many feet, the water is naturally sloughed off through the grooving and away from the deck. Importantly, the sloughed off water is also redirected away from the support structures beneath the deck or balcony. It is clear that drains continue to act as an important tool in battling water and its corrosive and damaging effects. Drains have developed, re-adapted, re-designed, and re-invented to expand their uses to more than just agricultural and large structure purposes. The French drain is an example; now employed in clever ways but adapted from its original design. 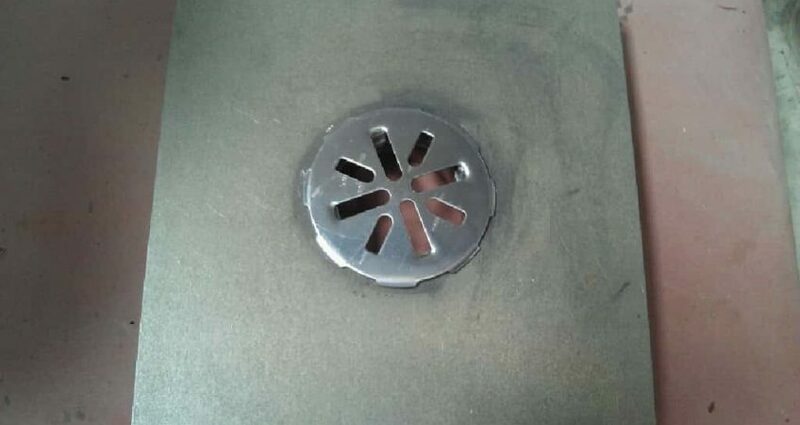 Current designs, equally if not more clever, incorporate the drain directly into the design. The drain is an ancient waterproofing tool and will likely take different forms as builders and innovators find more unique and efficient ways to enhance waterproofing strategies and tools. Contact us, Pli-Dek Systems, to learn more about the important roles drains have in waterproofing and the many designs available that complement decks.